Amsterdam-based publisher Elsevier in April 2019 released the third edition of a waste-to-energy (WTE) industry go-to reference text, written by Francois Screve, founder of Deltaway Energy International, Inc. with fellow industry expert Marc Rogoff, PhD. 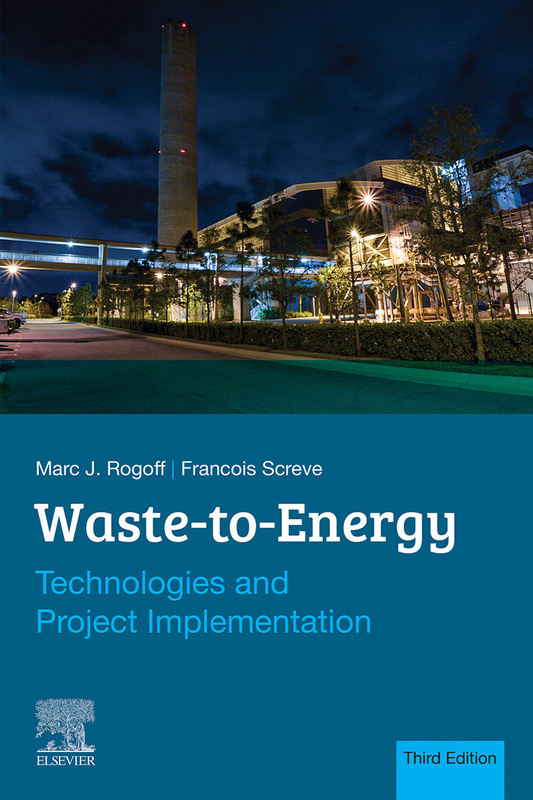 For more than 30 years since it was first published, Waste-to-Energy: Technologies and Project Implementation has been required reading for students and professionals involved in planning and implementing WTE systems. Policy makers, government officials, and managers in related industries also benefited from its easy-to-understand overview of this sustainable approach to converting traditionally landfilled solid waste into energy. In the book’s new, third edition, Screve and Rogoff update readers on the latest technologies and practical engineering challenges, and explore the ever-changing economic and regulatory context for WTE with new case studies and relevant market observations, insight, and outlook from Screve. Screve is a widely recognized expert in the global WTE industry, with nearly 35 years’ worldwide experience in WTE technologies and plant operation. Updates text with the latest technology and information on thermochemical and biochemical conversion systems. Amazon, Barnes & Noble, and elsevier.com.